This tutorial would be really useful for those who want to make their Xiaomi Redmi 3 supports dual SIM and external memory in same time. As you know, if you still do not know that Xiaomi has hybrid feature means that although this smartphone supports dual SIM and external memory but we can not use it in same time. If you want to insert external memory you have to use 1 SIM only, then if you want to insert 2 dual SIM you have to say "enough" with 16 GB memory because Xiaomi Redmi 3 provides 1 place only to insert waht you want to choose, this is what the latest technology calls it "Hybrid". By reading article above you may think that disappoints you, but do not worry we created this article to help you to make Redmi 3 supports dual SIM and external memory. 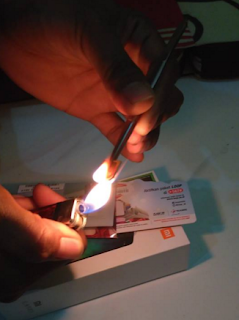 Burn your SIM card just make sure approximately you can take off its brass plate. Do not burn it until melted. 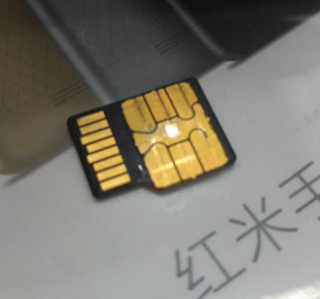 Take off its brass plate where that is the important component of SIM card. Gluing that brass plate to an external memory you want to insert with SIM card later. Check whether that SIM card still work or not, if there is no problem and it can work "congrats your Redmi 3" is successfully supports with dual SIM and external memory. This trick has been tested by many Indonesian people who have Xiaomi redmi 3, and it worked without any problem. We still can not make sure whether this can work on another hybrid smartphone or not, but we had tested it on Xiaomi Redmi 3. 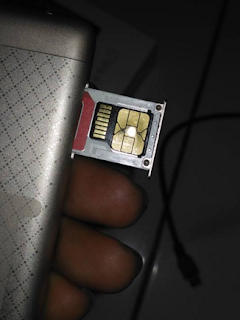 Remember that you need to provide not a main sim CARD, because we still can not make sure whether this works for you or not because each person has different luck. Take it by your own risk. Belum ada tanggapan untuk "Simple Trick to Make Xiaomi Redmi 3 Supports Dual SIM and External memory"